The Sheriff Appeal Court upheld the insurance company’s challenge to medical evidence given by a doctor who acted on a “contingency fee” basis, meaning he would not seek payment for the reports he prepared for the respondents if they were unsuccessful in their actions. Sheriff Principal Craig Turnbull heard that the respondents Samantha Armstrong, Conor Lyall and Dylan Cameron were each passengers in a motor vehicle travelling on its way to an amateur football match in Glasgow September 2014, when, as the vehicle was moving away from traffic lights at a roundabout on Great Western Road, it was struck from the right by a vehicle driven by a motorist insured by the appellants Equity Red Star. Proceedings were commenced against the appellant by each of the respondents. It was conceded by the appellant that the accident had been caused by the “fault and negligence” of their insured, however, the appellant contested whether any of the respondents had suffered any injury as a result of the accident. Dr AB gave evidence on behalf of the respondents, but before he did so the appellants objected to its admissibility. The sheriff allowed the evidence to be led, reserving the question of admissibility to the close of the proof, when, having heard submissions, he repelled the objection, found in favour of the respondents and awarded damages. But the insurers appealed, arguing that Dr AB’s independence and impartiality were “questionable” because he had acted on a contingency basis. It was also submitted that “no weight” should be attached to the skilled witness’s evidence since his reports demonstrated “no attempt to analyse or discuss medical concepts” or their application to the materials before him. The court observed that the seminal case on the duties and responsibilities of expert or, more properly in Scotland, skilled witnesses was the maritime case of National Justice Compania Naviera SA v Prudential Assurance Co Ltd (No 1)  2 Lloyd’s Rep 68, more commonly referred to by the name of the vessel in question, “The Ikarian Reefer”. In The Ikarian Reefer case, which has since been regularly cited with approval in the Scottish courts, Cresswell J made clear that expert witness should provide “independent assistance to the court by way of objective, unbiased opinion in relation to matters within his expertise”. Thus the key question posed by the stated case was whether or not a skilled witness who operates under a contingent fee arrangement is truly independent and impartial. 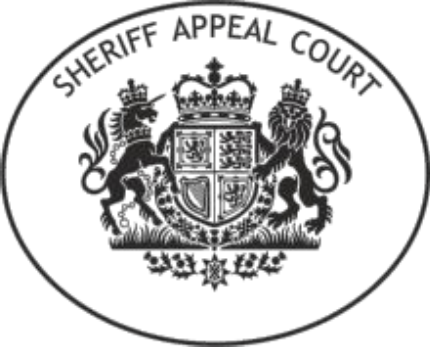 Allowing that appeal, the Sheriff Appeal Court ruled that Dr AB, whose evidence was critical to the outcome of the case, was “not truly independent and impartial”. Delivering the opinion of the court, Sheriff Principal Turnbull said: “The stated case discloses no circumstances that would justify the instruction of an expert on a contingency basis. That is unsurprising given the nature of the cases, namely, low value personal injury claims. “Moreover, it is clear that the sheriff had considerable reservations about Dr AB: he described him as not being an impressive witness; he was critical of the form and content of the reports prepared by him; he described some parts of those reports as “carelessly written”; describes a passage of his evidence as “pure speculation”; and required to warn him to be more careful in his answers. “The conclusion this court is inevitably drawn to from the terms of the sheriff’s observations and the terms of the reports in question is that Dr AB was almost acting as an advocate of the respondents’ cases. In the cases of Ms Armstrong and Mr Lyall, the sheriff found that each had sustained certain minor injuries in addition to a whiplash injury, but in light of the court’s ruling those findings insofar as they related to whiplash injuries could no longer stand, meaning they were only entitled to awards of damages in relation to the minor injuries the sheriff found they had sustained as a result of the accident. In the case of Mr Cameron, the sheriff found that he had sustained only a whiplash injury, thus the decree granted by the sheriff was recalled and decree of absolvitor was granted.